The academic session of UP State Board schools has been shifted to July from April. 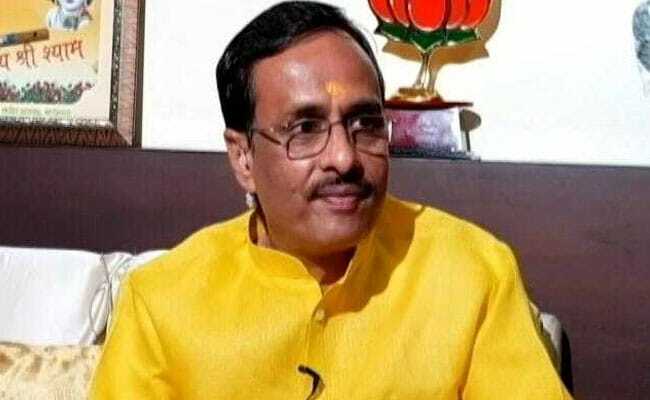 The Uttar Pradesh government is preparing a vision document and a four-point programme to improve the quality of education in state government schools, Deputy CM Dinesh Sharma said here Monday. "To ensure quality education in the state, a vision document is being prepared and work has started on a four-point programme; 'sukhi man shikshak' (happy teachers), 'tanaav-mukt vidyarthi' (tension-free students), 'gunvatta-parak shiksha' (quality education) and 'nakal-viheen pariksha' (cheating-free examination)," UP Deputy Chief Minister Dinesh Sharma told PTI on Monday. Explaining the first point 'Sukhi Man Shikshak', Mr. Sharma, who holds the portfolio of secondary and higher education said, when the teacher is free from tensions, he or she can impart better education to the students. "Prior to the formation of the BJP government in the state, teachers had to face numerous problems including difficulties in getting their funds after retirement. But now the teachers can get their entire post-retirement fund, a day after their retirement," he said. He also said the academic session of UP State Board schools has been shifted to July from April so that students of the board can appear in competitive examinations and compete with the students of other boards. On the implementation of NCERT syllabus in schools, Mr. Sharma said, "No one was able to take this decision since Independence. Not only did we take the decision but also made the textbooks available from April 1."